2017. Andrew Taggart, Chris Martin, Guy Berryman, Jonny Buckland, Will Champion. 2017. 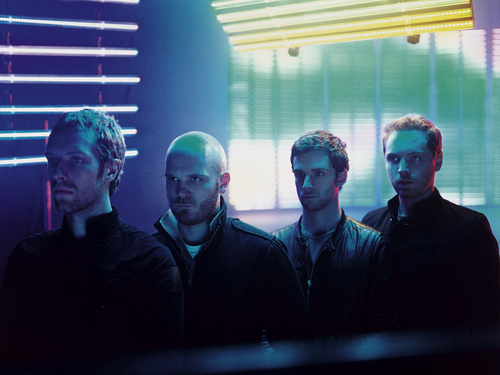 Guy Berryman, Jonny Buckland, Will Champion, Chris Martin. 2016. CHRIS MARTIN, GUY BERRYMAN, JOHNNY BUCKLAND, MIKKEL ERIKSEN, TOR HERMANSEN, WILL CHAMPION. 2015. CHRIS MARTIN, GUY BERRYMAN, JOHNNY BUCKLAND, MIKKEL ERIKSEN, TOR HERMANSEN, WILL CHAMPION. 2015. CHRIS MARTIN, GUY BERRYMAN, JOHNNY BUCKLAND, MARCOS TOVAR, MIKKEL ERIKSEN, SCOTT ALAN ZANT, TOR HERMANSEN, VENOR YARD, WILL CHAMPION. 2015. MIKKEL ERIKSEN, TOR HERMANSEN, CHRIS MARTIN, GUY BERRYMAN, WILL CHAMPION, JOHNNY BUCKLAND. 2015. MIKKEL ERIKSEN, TOR HERMANSEN, GUY BERRYMAN, WILL CHAMPION, CHRIS MARTIN, JOHNNY BUCKLAND. 2015. 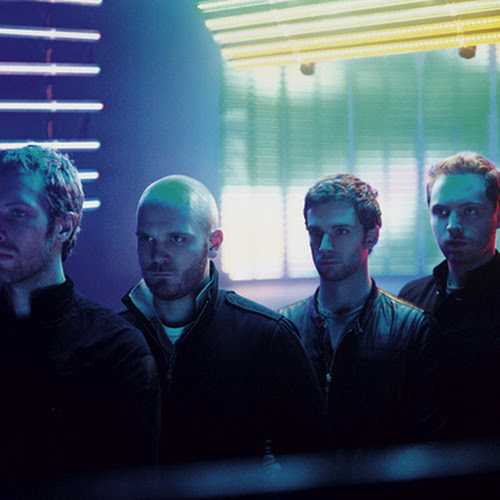 CHRIS MARTIN, GUY BERRYMAN, JOHNNY BUCKLAND, WILL CHAMPION. 2014. BERGLING, TIM / BERRYMAN, GUY / MARTIN, CHRIS / BUCKLAND, JONATHAN / CHAMPION, WILLIAM. 2014. MARTIN, CHRISTOPHER ANTHONY JOHN / BERRYMAN, GUY RUPERT / BUCKLAND, JONATHAN MARK / CHAMPION, WILLIAM. 2014. Hopkins, Jon / Martin, Christopher Anthony / Champion, William / Berryman, Guy Rupert / Buckland, Jonathan Mark. 2013. MARTIN, CHRISTOPHER ANTHONY JOHN / BERRYMAN, GUY RUPERT / BUCKLAND, JONATHAN MARK / CHAMPION, WILLIAM. 2012. BERRYMAN, GUY RUPERT / BUCKLAND, JONATHAN MARK / CHAMPION, WILLIAM / MARTIN, CHRISTOPHER ANTHONY JOHN. 2012. BERRYMAN, GUY RUPERT / CHAMPION, WILLIAM / MARTIN, CHRISTOPHER ANTHONY JOHN / BUCKLAND, JONATHAN MARK. 2011. MARTIN, CHRISTOPHER ANTHONY JOHN / BERRYMAN, GUY RUPERT / BUCKLAND, JONATHAN MARK / CHAMPION, WILLIAM / ENO, BRIAN. 2011. WILLIAM CHAMPION, CHRISTOPHER ANTHONY JOHN MARTIN, JONATHAN MARK BUCKLAND, BRIAN ENO, GUY RUPERT BERRYMAN. 2011. CASTIONI, HARRY / CHRISTENSEN, ALEX / LAGONDA, B. / WYCOMBE, - / MARTIN, CHRISTOPHER / BERRYMAN, GUY / BUCKLAND, JONATHAN / CHAMPION, WILLIAM / ENO, BRIAN / ALLEN, PETER / ANDERSON, ADRIENNE. 2011. MARTIN, CHRISTOPHER ANTHONY JOHN / BERRYMAN, GUY RUPERT / BUCKLAND, JONATHAN MARK / CHAMPION, WILLIAM / BIRGISSON, JON THOR / DYRASON, ORRI PALL / HOLM, GEORG / SVEINSSON, KJARTAN / ENO, BRIAN. 2011. MARTIN, CHRISTOPHER ANTHONY JOHN / BERRYMAN, GUY RUPERT / BUCKLAND, JONATHAN MARK / CHAMPION, WILLIAM. 2011. COHEN, LEONARD / ENO, BRIAN / MARTIN, CHRIS / BERRYMAN, GUY / CHAMPION, WILL / BUCKLAND, JONATHAN. 2010. MARTIN, CHRISTOPHER ANTHONY JOHN / BERRYMAN, GUY RUPERT / BUCKLAND, JONATHAN MARK / CHAMPION, WILLIAM. 2010. Jonathan Mark Buckland;Christopher Martin;William Champion;Guy Rupert Berryman. 2009. SCHULT, EMIL / HUETTER, RALF / BARTOS, KARL / MARTIN, CHRIS / BERRYMAN, GUY / BUCKLAND, JON / CHAMPION, WILL. 2009. MARTIN, CHRISTOPHER ANTHONY JOHN / BERRYMAN, GUY RUPERT / BUCKLAND, JONATHAN MARK / CHAMPION, WILLIAM. 2008. MARTIN, CHRISTOPHER ANTHONY JOHN / BERRYMAN, GUY RUPERT / BUCKLAND, JONATHAN MARK / CHAMPION, WILLIAM. 2008. Hopkins, Jon / Martin, Christopher Anthony / Champion, William / Berryman, Guy Rupert / Buckland, Jonathan Mark. 2008. Jonathan Mark Buckland;William Champion;Christopher Martin;Guy Rupert Berryman;John Anthony. 2008. WILLIAM CHAMPION, CHRISTOPHER ANTHONY JOHN MARTIN, JONATHAN MARK BUCKLAND, GUY RUPERT BERRYMAN. 2008. Jonathan Mark Buckland;Christopher Martin;William Champion;Daniel Green;Guy Rupert Berryman. 2008. BERRYMAN, GUY RUPERT / BUCKLAND, JONATHAN MARK / CHAMPION, WILLIAM / MARTIN, CHRISTOPHER ANTHONY JOHN. 2008. Jonathan Mark Buckland;William Champion;Christopher Martin;Guy Rupert Berryman. 2008. Jonathan Mark Buckland;Christopher Antho Martin;William Champion;Guy Rupert Berryman. 2008. BERRYMAN, GUY RUPERT / CHAMPION, WILLIAM / MARTIN, CHRISTOPHER ANTHONY JOHN / BUCKLAND, JONATHAN MARK. 2008. SCHULT, EMIL / HUETTER, RALF / BARTOS, KARL / MARTIN, CHRIS / BERRYMAN, GUY / BUCKLAND, JON / CHAMPION, WILL. 2007. MCCULLOCH, IAN STEPHEN / SERGEANT, WILLIAM / PATTINSON, LESLIE THOMAS / DE FREITAS, PETE. 2007. JORDAN, KEN/KIRKLAND, SCOTT/WEILAND, SCOTT RICHARD. 2007. MCLEOD, SARAH/RUDD, STUART/BERRYMAN, PAUL/HENWOOD, TIM. 2007. BERRYMAN, GUY RUPERT / CHAMPION, WILLIAM / MARTIN, CHRISTOPHER ANTHONY JOHN / BUCKLAND, JONATHAN MARK. 2007. BERRYMAN, GUY RUPERT / BUCKLAND, JONATHAN MARK / CHAMPION, WILLIAM / MARTIN, CHRISTOPHER ANTHONY JOHN. 2007. BRISCOE, MARK / JENKINS, GEORGE / MARTIN, ANTHONY / ROE, BRIAN. 2007. Jonathan Mark Buckland;Christopher Martin;William Champion;Guy Rupert Berryman. 2007. Buckland Jonathan Mark; Martin Christopher Anthony Joh; Berryman Guy Rupert; Champion William. 2007. Martin, Hugh / Blane, Ralph. 2007. Jonathan Mark Buckland;William Champion;Christopher Martin;Guy Rupert Berryman. 2007. Kosten David Jeremy; Martin Christopher Anthony Joh. 2006. BERRYMAN, GUY RUPERT / CHAMPION, WILLIAM / MARTIN, CHRISTOPHER ANTHONY JOHN / BUCKLAND, JONATHAN MARK. 2006. BERRYMAN, GUY RUPERT / BUCKLAND, JONATHAN MARK / CHAMPION, WILLIAM / MARTIN, CHRISTOPHER ANTHONY JOHN. 2005. BERRYMAN, GUY RUPERT / CHAMPION, WILLIAM / MARTIN, CHRISTOPHER ANTHONY JOHN / BUCKLAND, JONATHAN MARK. 2005. MARTIN, CHRISTOPHER ANTHONY JOHN / BERRYMAN, GUY RUPERT / BUCKLAND, JONATHAN MARK / CHAMPION, WILLIAM / MCGINN, MATTHEW TYLER. 2005. SCHULT, EMIL / HUETTER, RALF / BARTOS, KARL / MARTIN, CHRIS / BERRYMAN, GUY / BUCKLAND, JON / CHAMPION, WILL. 2005. MARTIN, CHRISTOPHER ANTHONY JOHN / BERRYMAN, GUY RUPERT / BUCKLAND, JONATHAN MARK / CHAMPION, WILLIAM. 2003. BERRYMAN, GUY RUPERT / BUCKLAND, JONATHAN MARK / CHAMPION, WILLIAM / MARTIN, CHRISTOPHER ANTHONY JOHN. 2003. BERRYMAN, GUY RUPERT / CHAMPION, WILLIAM / MARTIN, CHRISTOPHER ANTHONY JOHN / BUCKLAND, JONATHAN MARK. 2002. BERRYMAN, GUY RUPERT / BUCKLAND, JONATHAN MARK / CHAMPION, WILLIAM / MARTIN, CHRISTOPHER ANTHONY JOHN. 2002. MARTIN, SAMUEL DENISON/LEVY, MASON DAVID/LEVINE, ADAM NOAH/MARTIN, MAX. 2001. MARTIN, J. D. / SCHLITZ, DON. 2001. BERRYMAN, GUY RUPERT / BUCKLAND, JONATHAN MARK / CHAMPION, WILLIAM / MARTIN, CHRISTOPHER ANTHONY JOHN. 2000. BERRYMAN, GUY RUPERT / BUCKLAND, JONATHAN MARK / CHAMPION, WILLIAM / MARTIN, CHRISTOPHER ANTHONY JOHN.